Do you have any experience of feeling hunger at 11.00 am because you have not eat anything in the morning. I do and I feel that most of us does feel it and can’t wait until lunch time. Take your breakfast and that will make your day for meaningful until you gonna take your lunch. Take your breakfast , a healthy one and it can save you from cravings and by the time you want to take your lunch, your effort in loosing some excess weight is done as you has been burning it during your activities in the first half day. 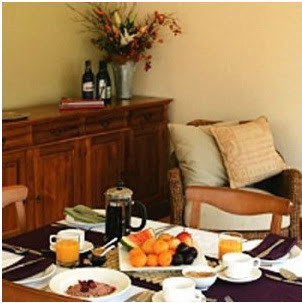 As the world develop and keep changing into a faster phase many of us has forgo the need for breakfast due to their busy schedule which has already started in the early morning especially during the weekday. Our head is burden with work problems coupled with the demanding day ahead and this had put the importance of breakfast as secondary even-though we still squeezing for a cup of milk or even a bowl of cereals which is still not enough for burning the body fuel. The demanding life need you to be a superhero , managing your multiple careers but do not neglect your own daily food intake. Your body is what you need to continue perform all the tasks you want and as such it is timely that you need to place the importance of providing it with enough nutrition. Ask many people out there , what is their secret to good health and they will say that its the first meal that they take in the morning , a healthy breakfast. I do agree to it. Again, the same question. Why breakfast so important that it take priority than the lunch or dinner. When we sleep, our body continue to work thus consuming whatever resources that we have. When we awake in the morning, our metabolism still at its slow rate and our body usually need enough time to return to its normal state and we can expedite it by taking our breakfast. A healthy breakfast will end the calorie conservation period and will help you in increase your metabolism to normal level. You can feel the difference ie when you take your breakfast , you can feel that your energy level has increase and your body is ready to carry the daily tasks. Taking a healthy breakfast means avoiding simple carbs and take more on complex carbs , healthy fats and lean proteins. White meats, cereals, whole wheat bread , vegetables and fruits are tremendous breakfast chain of choices. It is better to eat small portions throughout the day but do not exclude breakfast from your nutritional plan. Keep with the tips and you can feel more energetic by waking up much earlier and still having enough energy to spare by end of the day . Have a fitter and healthier all day long.